The internet browsing is not secure, it track lots of data from browsers. 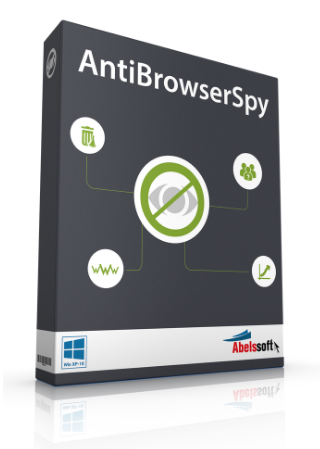 AntiBrowserSpy turns off hidden spy functionalities in browsers. It cleans browser tracks, cookies, history and temporary files.moreover, it helps to backups of browser settings allowing users to take their settings with them when switching to a new PC. The program can work with the main browsers – Firefox, Internet Explorer, Chrome, Safari, Opera etc. This programme will block analysis tool, social network plugins , disable Flash and disable Silverlight cookie. AntiBrowserSpy makes it very easy to control all browser settings. With one mouse click it can configure the settings of all browsers and disable even hidden spy features. It allows you to remove internet traces easily. This contains the removal of history entries and web cache. Download lists and typed URLs can also be cleaned. Stealth browser to generate a random browser fingerprint after a set frequency of time in order to confuse the tracking servers. Its price is €29.95 supports Windows 7 SP1, Windows 8, 8.1 and Windows 10.